La Habra football coach Frank Mazzotta tabbed Cole Wolterman to start at quarterback for Friday’s season opener against El Dorado at Valencia High School. The senior had been the odds-on favorite to replace Cody Clements, now at Washington State. The decision was somewhat cloudy after La Habra accepted the transfer of Orange Lutheran’s Clark Livingston, who was denied eligibility by the CIF-Southern Section office on Tuesday. The Highlanders begin the season ranked No. 1 in the area and in CIF-SS Southwest Division. 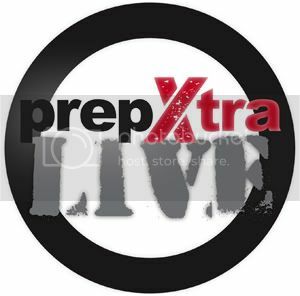 Tuesday’s PrepXtra Live featured San Gabriel coach Jude Oliva and Muir coach Ken Howard and West Covina coach Mike Maggiore and Darryl Thomas (which can be found at 54:01 on the video). Also, CIF’s Thom Simmons (14:51) joined us to talk about recent transfers. Tuesday’s PrepXtra Live featured San Gabriel coach Jude Oliva and Muir coach Ken Howard (SAME SEGMENT) and West Covina coach Mike Maggiore and Darryl Thomas (SAME SEGMENT). Also, CIF’s Thom Simmons joined us to talk about recent transfers. A replay of the show will be available Wednesday morning. CIF has ruled Clark Livingston, who transferred from Orange Lutheran to La Habra last week, ineligible for the upcoming football season. Livingston, a senior, threw for 1,055 yards last season and was in line to be under center for O-Lu again this season before abruptly transferring to La Habra in a move that sent shock waves throughout Orange County (and Whittier). The Highlanders were and now remain in the market for a quarterback after last year’s starter Cody Clements graduated and is now at Washington State. La Habra had been auditioning Cole Wolterman and Sean Sparling for the position this summer. IMPORTANT: CIF’s Thom Simmons will be a guest on PrepXtra Live tonight at 7 p.m. You can watch it here. Breaking News: We apologize for NOT having the PrepXtra Preview Magazine in today’s editions, it will be in Wednesday’s paper.